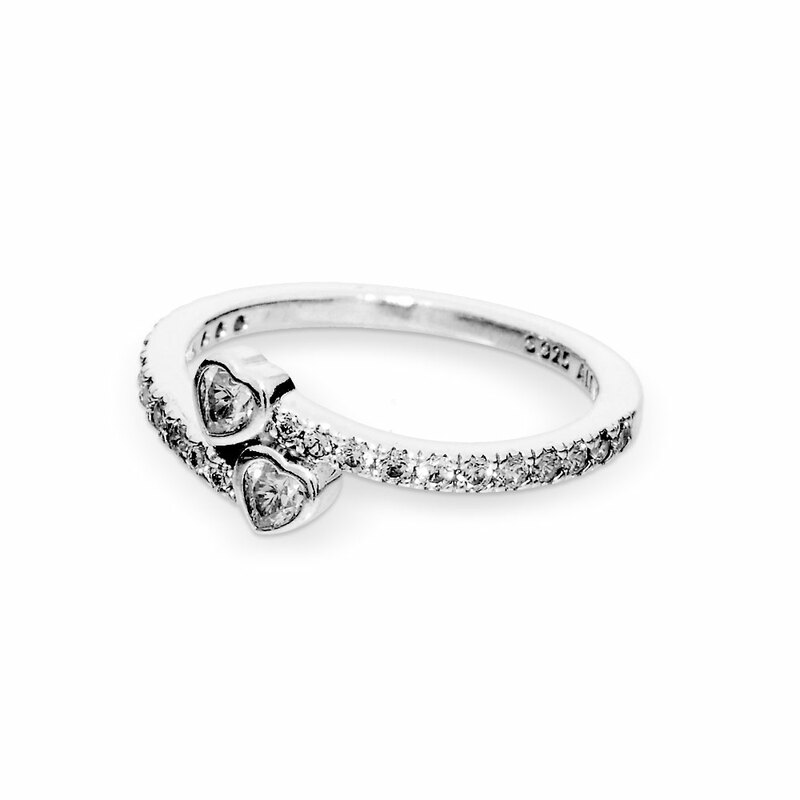 Celebrate everlasting feelings of friendship and love with this exquisite sterling silver ring. The beautiful design features two heart-shaped cubic zirconia stones, placed closely together to represent friendship and loving devotion. Shop online or in-store. Forever Hearts Ring is rated 4.8 out of 5 by 47. Rated 5 out of 5 by victorialynn from Looks like diamonds! My boyfriend got this ring for me and I am obsessed with it! People often ask me if it is a diamond ring, the CZ is great quality I recommend! Rated 5 out of 5 by JLIZBETH95 from Beautiful!!!! Found this today expecting to go to the store and get a completely different ring. My boyfriend and I wanted to get one that would be a promise ring for me and when the lady behind the counter pulled out this one I was in love. It is perfect! Rated 5 out of 5 by Jlynn82 from Beautiful Ring I got this ring for my anniversary and it's beautiful! Pictures don't do it justice, go to a store and see for yourself how beautiful this ring really is! Rated 3 out of 5 by KenzieWol from Beautiful Ring This was my third pandora ring, my boyfriend bought me this one as a promise ring. I’ve never had any issues with either of my other rings, but I had one of the stone fall out of this one which was disappointing. Luckily it’s the last stone so it’s not really noticeable. Other than that I really love this ring and I’ve had it since Aungust 2017 (the stone fell out after 6 months) and it still just as shiny and pretty, I really only ever take it off to shower. Rated 5 out of 5 by Bdel2345 from So beautiful! My boyfriend got me this as a promise ring and I love it!!!! Rated 5 out of 5 by Amy1972 from Sparkles Just got this last week. Beautiful!!!! Nothing but compliments!